Lock in a great price for Fishta Hotel – rated 8.4 by recent guests! The location was fantastic as it was right on the beach. The staff, food and service was amazing for the price. Only place I will stay when i’m in Velipoje. The bathroom,the smell was terrible.The others was very good. 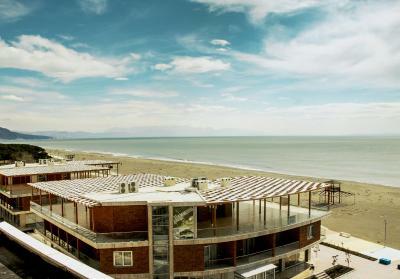 Great location on the seashore. Spacious veranda with great sea view. 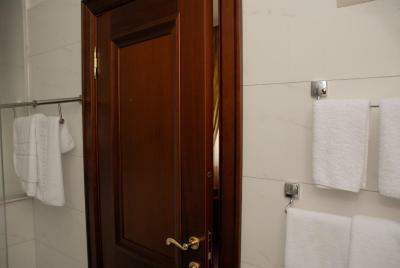 Nicely equipped rooms and very clean. Direct access to the hotel beach area. The terrace bar offered a variety of drinks and ice-creams. Exeptionally pleasant staff, we felt like visiting relatives who are trying their best. The best location in Velipoje, amazing sea food prepared by young master Amo! Suuuper cozy bed! 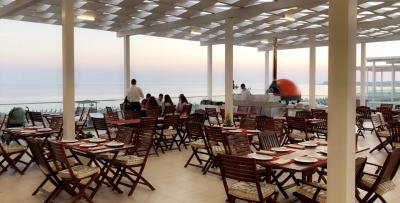 And on top of everything the best sea view from the terrase where they also serve food. 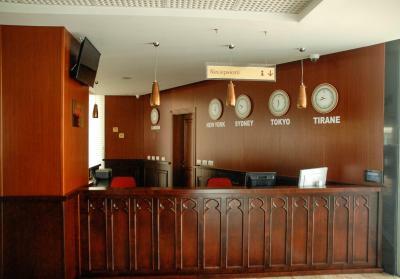 I am sure that Fishta Hotel will become top tourist location in Velipoje. It is our second time that we are going in Fishta Hotel! Exelent hotel and sea is very near.I think we will go next year too! The staff was friendly, and also the beds were very comfy. Breakfast was alright. Recommended for family travel trips. Hotel is relatively new and has some nice materials built in. 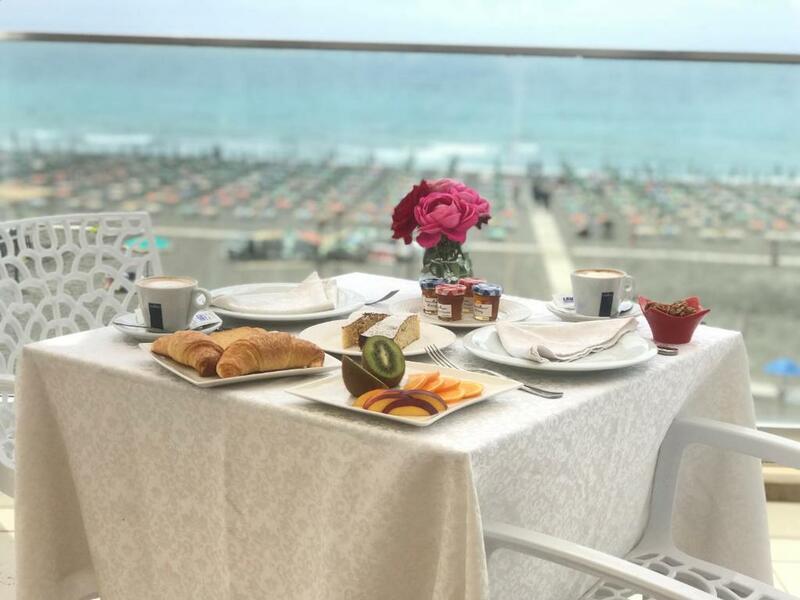 The room was spacious with big balcony, elevator is nice - when it works The breakfast is good if you come early because the staf dont prepare enough food and is super slow in preparing new food for all the guests. The beach is 3 minutes from the hotel - posted pictures show the building by the sea - Hotel Fishta 2, Hotel Fishta is in 3 row from the beach. The beach is sandy and long with shallow water ideal for kids - but with dirty water and crowded. In the hotel complex there are a lot of stores and restorants even farmacy and its clean. Parking is near the hotel and is free but its a bit tricky to get in the hotel area because they have only one ramped entrence the rest is blocked with construction materials and when I came there were cars parked on the streets everywhere. The beach and seaview from balcony was awesome. So close to the beach. Staff were great. Granite floors in room and in hallways were very impressive. 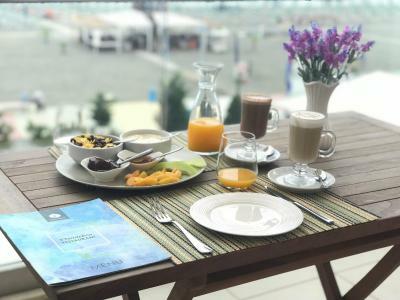 Fishta Hotel This rating is a reflection of how the property compares to the industry standard when it comes to price, facilities and services available. It's based on a self-evaluation by the property. Use this rating to help choose your stay! 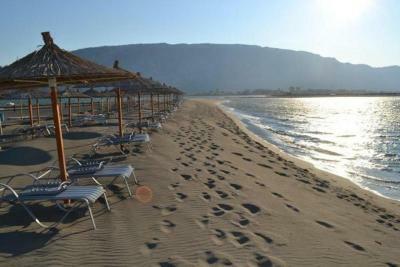 One of our top picks in Velipojë.Located in Velipojë, Fishta Hotel features a private beach area and a garden. With free WiFi, this 4-star hotel offers a 24-hour front desk and luggage storage space. Free private parking is possible on site. Every room comes with a balcony and a private bathroom. 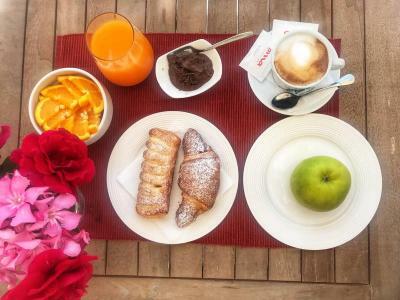 A buffet breakfast is available every morning at the hotel. 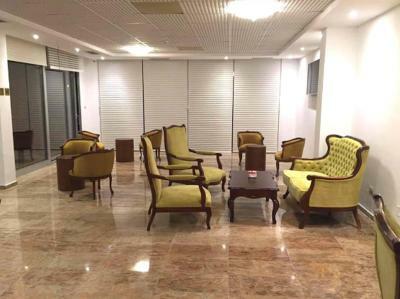 Lounge area is available for all guests. Shkodër is at a distance of 19 mi. 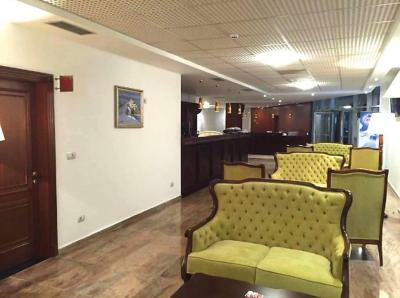 The nearest airport is Tirana Airport, 54 mi from the accommodations. 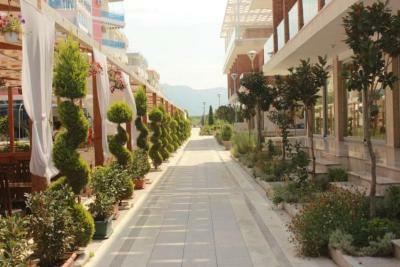 This property also has one of the top-rated locations in Velipojë! Guests are happier about it compared to other properties in the area. 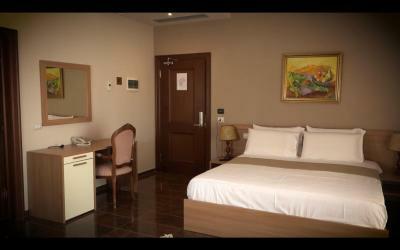 When would you like to stay at Fishta Hotel? This suite has a balcony, seating area and fireplace. House Rules Fishta Hotel takes special requests – add in the next step! Fishta Hotel accepts these cards and reserves the right to temporarily hold an amount prior to arrival. I didnt like that the you could hear all the noises in the next rooms close to us, and the bar near the hotel has loud music until about 1am. A very annoying thing that happened is with the laundry people. Apart not having any iron in the hotel for room usage, they distroyed my white clothes. I gave to the lady clearly only white staff for washing (easiest wash ever) and she return them pink. Terrible. Also, they didnt offer any discount on the room or cash back for the damage to my clothes. The beach wasn't private just for the tourists from hotel as it's described. Everybody can use it, if they are able to pay for 2 chairs and a sun umbrella. Also the toilet and bathroom doesn't reach the requirements of a 4* Hotel. Room 105 and 305 at Fishta 3 are horrible with the smell. The drainage is constructed whitout the siphone so the sewer gases from the sink are unbearable. Insted of normal siphone the is conected to sewers just with straight pipe - its a joke especialy because the materials built in the room are very nice . The staf of course could not fix this. We had all the windows open all the time . WI FI is week in the roon or not at all. It is ok on the stairway. It was funny to see the guests sitting on the stairs with phones. We had to pay 50 Euro for one key miss placed. Old key which cost no more than 5 Euro. The room was spacious with big balcony, elevator is nice - when it works The breakfast is good if you come early because the staf dont prepare enough food and is super slow in preparing new food for all the guests. The beach is 3 minutes from the hotel - posted pictures show the building by the sea - Hotel Fishta 2, Hotel Fishta is in 3 row from the beach. The beach is sandy and long with shallow water ideal for kids - but with dirty water and crowded. Parking is near the hotel and is free but its a bit tricky to get in the hotel area because they have only one ramped entrence the rest is blocked with construction materials and when I came there were cars parked on the streets everywhere. The smell,and the beach.You may think that you are sitting with others,because of umbrellas was very closed to each other. Small room, and this is not deluxe even if it had a seaview, sat the wrong expectations for us. Breakfast was not good.